Disposable Hygiene is a U.S. Manufacturer of Facial Sheet Masks, Spot Masks, Body Masks, Hair Mask kits, Single Use Skin Care products and Wet Wipe products. 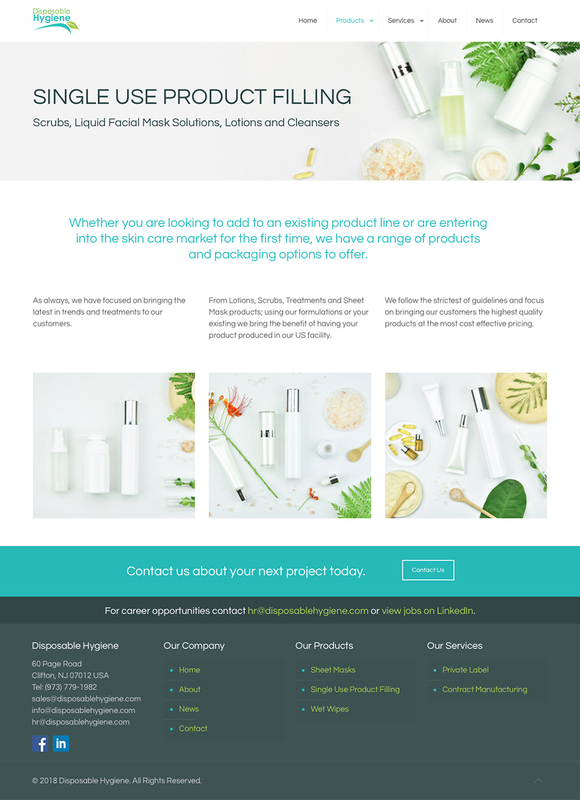 We also provide packing and filling for Cleansers, Scrubs, Masks and Treatments. 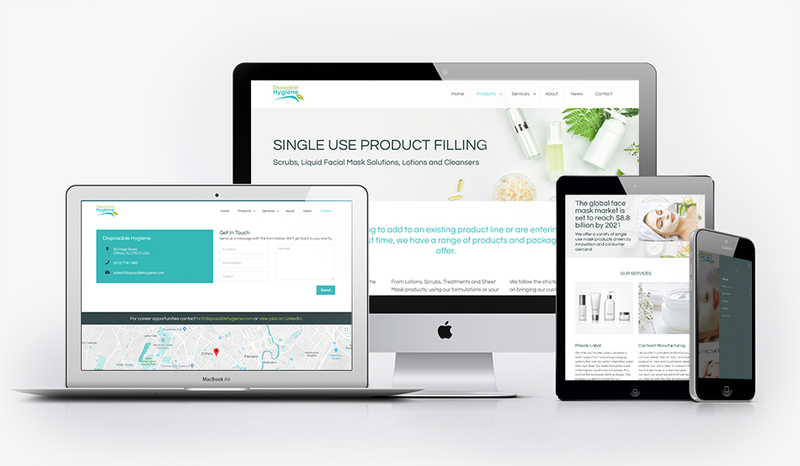 Disposable Hygiene’s old site was created with WIX and had not been updated in years. We redesigned the site top to bottom, and moved to self hosted WordPress.